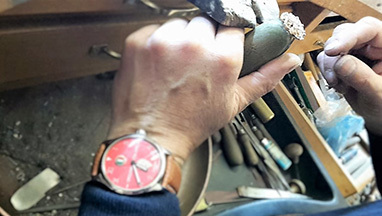 The possibility to produce a watch with handcrafted parts has been a prevalent choice in Egotempo. 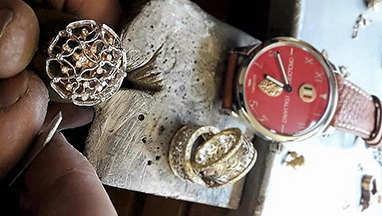 The selection of professional skills has played a huge role in order to achieve a level of high quality which is the primary aim when making a watch. 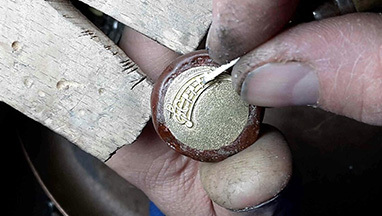 The handcrafted product is produced in few units and it goes without saying that a handcrafted process gives higher production costs than the equivalent industrial one. Preludio may look simple and plain at first sight but it is provided with a wide dial easy to read enclosed in a soft rounded case. We have evaluated several different colours and customization and there are still things we want to do. We also know that we can give you in the next future the possibility to customize even more our production in order to achieve the “unique piece” for you! The handcrafted process made all this possible. Once again men and their professional skills are at the center of the project. 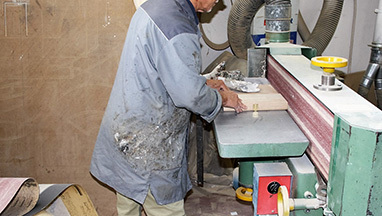 Quality, flexibility and professionalism are characteristics that make our Company unique besides the craftsmen who honor the art of this craftsmanship. Thanks to the use of skilled craftsmen we can produce a desirable timepiece for many to appreciate but only few to be in possession of. Now you can easily understand why it will never be produced identical Preludio watches. 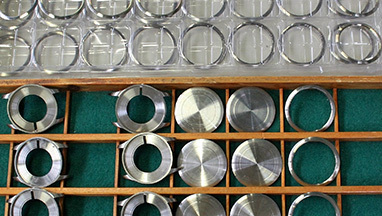 Every watch has its uniqueness which, compared to watches made in a sterile automated process, will not exist. 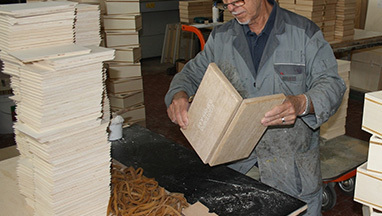 The components due to the human ability are what make the Preludio unique and special. Let us together develop your Preludio! Get yourself a dream, buy a Preludio!